StrongVPN and UnblockUS are two highly reputable, very popular VPN providers. They might seem almost identical in their plans and features, but there are definitely differences between them that should help you decide. In order to make the best choice, you should see how they fare against each other. Strong VPN is a good choice for anyone looking for a solid, trustworthy, and affordable VPN provider based in the United States. This high-profile company offers plenty of attractive features and their service is reliable and fast. 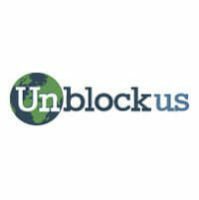 Unblock-Us is a DNS and VPN service provider that allows you to access any website you want from anywhere in the world and to change your IP address so that you can surf the web anonymously. The connection speeds are great. The best Von is one which is turned on. If you have to remember to switch it on you will forget one day. Or just stop using it. An effective vpn comes in automatically. StrongVPN does not work for iOS devices. The website has instructions for setting up “on demand” so you do not have to remember to turn it on but it does not work. Support will tell you that it is “under testing” to keep you hanging on until you no longer qualify for a refund... it is useless for iPhone. I just came here to say HI to the folks in the Customer Support. They are true troopers for putting up with me so often. I know I’m a handful but what can you do, not everyone can be techy. I had to travel to Far East for work so I got a subscription for StrongVPN. The connection was constantly very good. The speeds, so-so. Overall, a decent service that worked for me, but could definitely be cheaper. I have been having a hard time accessing certain sites recently, customer support wasn’t really able to help me. Thinking about switching to a new provider! unblockUS worked great until it didn't. in fact stopped working at all. cancelled service but still keep getting charged on credit card. emailed support and no reply. fishy.. I've used Unblock-Us for 6 years!! Without any interruption, cancellation, or changes. I signed up in 2012 and I'm billed each month like clock work. The service has become a very integral and normal part of my entertainment life. I live online, on my Apple TV, Amazon TV and the like. I moved from the US 6 years ago and if I hadn't set this up I would have missed so many shows. I am a movie and TV junkie so Unblock-Us has been fueling my addiction. Just recently though, I've tried to use it to watch some UK shows on NowTV but it's not working. I don't know if I should switch or not. I almost feel like I would be breaking up with a boyfriend. Definitely one of my longest relationships ever! I signed up to Unblock-Us when I moved from the US to another country in 2012 and joined an American company in the country. I recently resigned after 6 years, so maybe it's time to also explore new DNS/VPN providers? The speeds are ok at best. Most of the time, it’s not annoying, but sometimes it is, so I can’t really recommend it, there are better VPNs, ExpressVPN for one. An average VPN with average speeds and below-average privacy. Unblock-Us is a company that offers SmartVPN and SmartDNS instead of traditional VPN services. They boast excellent speeds, support a wide variety of channels, and provide great device compatibility.